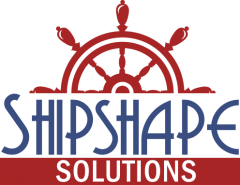 Shipshape Solutions uses SimpleBook.me for its online booking. Please click one of the links below to schedule your appointment. If you need to book an appointment outside of the available times in the online booking system, please contact me directly at angie@beshipshape.com or (423) 567-4273. An Assessment Visit is a free initial appointment, where I visit your home or office to discuss your organizing needs and look at the spaces you want to work on. If you have never worked with me before, this is the appointment you need to schedule. An Organizing Session is a one on one session in which we work together to organize your space according to your specific needs. If we have already completed an Assessment Visit, this is the appointment you need to schedule.